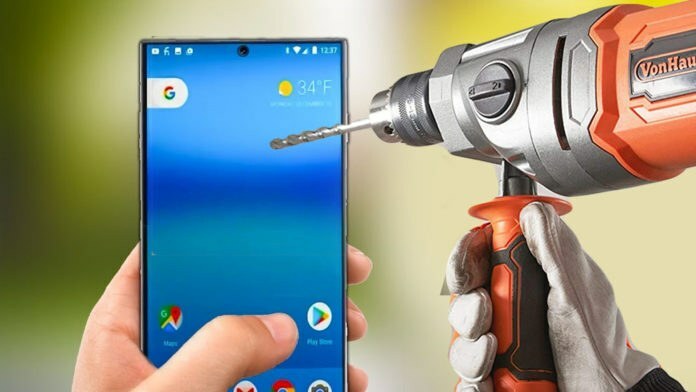 Huawei thinks its great to drill a hole in your Smartphone! Huawei is a company that is not much known for innovation but as we have seen in the recent times a lot of smartphone companies have brought up innovative features in their phones. There have been various measures, some even very drastic to eliminate the notch on new smartphones and move towards a bezel less future. Vivo Nex did it with the camera panel popping up and Oppo Find X did it with the full column that elevates. 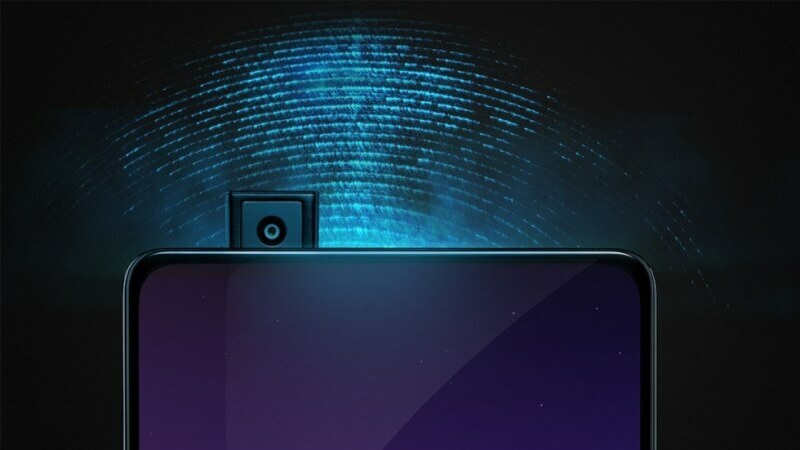 Huawei is working on a new smartphone design which will completely kill the notch. According to reports by EtNews instead of accommodating moving or motorised parts inside their smartphone Huawei is planning to kill the notch by drilling a hole in the display and putting the camera sensor underneath it. The screen would be bezel less and it would completely surround the camera hole which would be really small. 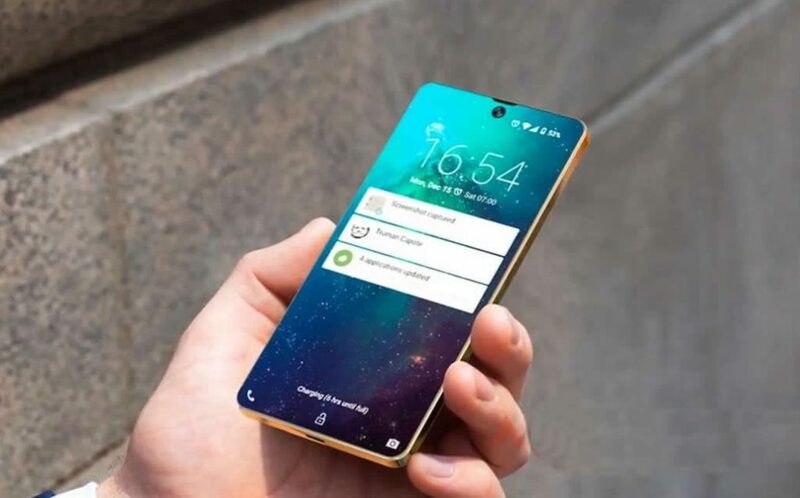 They are going for a bezel less futuristic smartphone by drilling a hole in their new smartphone. Reports also suggest that Huawei is experimenting with a 6.39-inch LCD display that is most likely going to launch in Q4 this year. There is an image showing how this drill technology will work. This looks appealing but this is not a completely bezel less phone because the sensors on the phone will be moved to the top with a very thin bezel. There is technology that is already present that can help accommodate the earpiece speaker. Piezoelectric technology enables the speaker to vibrate the display which in turn transfers sound to your ears! 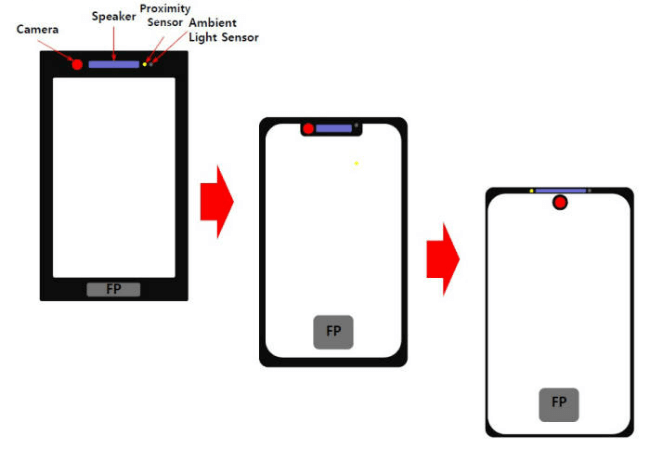 or in simple terms your display vibrates to create sound and it is being used in most bezel less phone like the Vivo Nex and the Mi Mix 3. There are already technology present that can enable full bezel less displays. 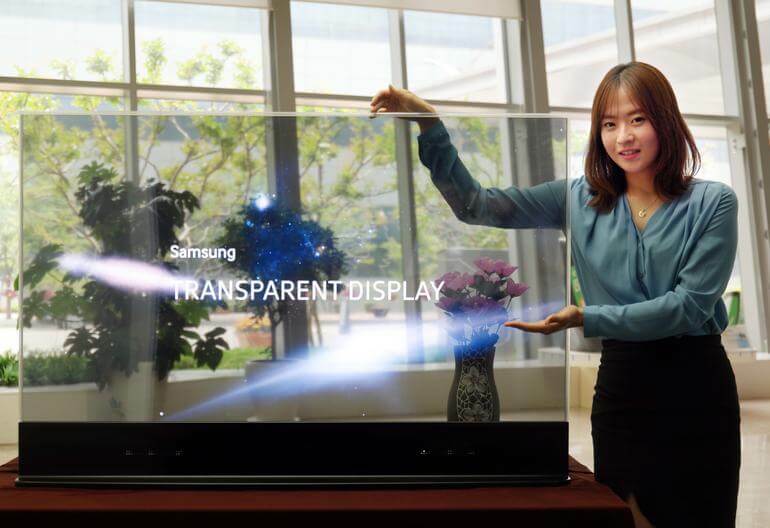 Samsung has advanced massively in the display technology and they have built up transparent displays that look like something from the future. Samsung will most likely be moving toward a bezel less phone by using the transparent technology already present and working in their monitor and tv design. These transparent displays are OLED displays and can be in two basic designs mirror and glass. Which company do you think will get to a bezel less phone without any motorised parts? Next articleFuchsia OS Death of android ?